Customers are tough to get and easy to lose. The good news is that communications service providers (CSPs)have more and more options for attracting and retaining customers. Here are nine strategies that will play out in 2013. Policy will evolve from a isolated defensive capability to business integral offensive measure. CSPs – particularly mobile operators – currently use policy to a large extent to protect their network. Increasingly they’ll use policy to differentiate their offerings and services based also on customer personal preferences, purchase and usage history. This will require integrated solution between PCRF and OCS, that enables a common product offer creation environment that can be used for both voice and all data product definitions (WCDMA, WiFi, Fixed Broadband). CSPs will transform over-the-top (OTT) services from a problem into an opportunity. Consumers want ubiquitous communications services. The only way that CSPs can meet that demand is by accepting that for part of the time, they’ll have to serve their customers over someone else’s network. CSPs also have to accept that other CSPs and OTT providers will use their network to serve their customers. Why? Because no one owns the customer. If a CSP won’t meet their needs, they’ll turn to one that can. Instead of viewing OTT services as a problem, CSPs will increasingly look at them as a business opportunity. For example, a mobile operator could provide a certain amount of bandwidth and prioritization to a video OTT provider that agrees to share revenue because the QoS would help differentiate its service. CSPs will optimize their OSS/BSS infrastructure to accommodate increasingly complex services. Billing and service assurance will become more important for delivering an optimal mobile customer experience. As more services are introduced, and as the underlying network technologies become more complex, CSPs will focus on their OSS/BSS infrastructure as the centerpiece for ensuring a great customer experience. Tailored pricing and packaging will become a market differentiator. One size doesn’t fit all. Not every mobile customer, for example, needs or can afford 5 GB per month or 20 Mbps. Tailored packaging of e.g. social media services at a low weekly cost will be one way lower the entry barrier and grow in new segments. With any technology, differentiated pricing appeals to a wider range of needs and budgets, enabling CSPs to cater to all demographics while ensuring profitability. Smartphone growth won’t plateau anytime soon. Sure, smartphone penetration is already above 50 percent in markets such as the United States. But globally, it’s only 15 percent. That’s a lot of room to grow, and the grow will happen in customer segments that has different needs and wallets compared to the first wave of smartphone customer. Doing so requires differentiated packaging and pricing and other innovative rate plans and service bundles, which in turn require highly flexible BSS/OSS platforms. 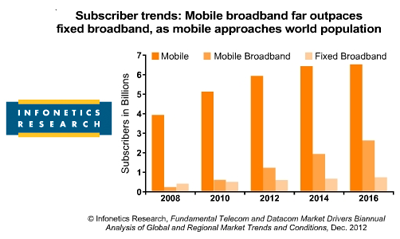 Mobile broadband subscriptions will continue to grow. There are 2012 approx. 1.5 billion mobile subscriptions in the world. A big figure, and still only representing less than 25 percent of all mobile subscriptions. It is expected to grow to 6.5 billion mobile broadband subscriptions globally by 2018, representing an uptake of over 70% of all mobile subscriptions. So how can operators succeed to win in this new battle for market share and avoid sever price erosion of broadband data pricing. One key requirement will be highly flexible BSS/OSS platforms in order to create innovative and differentiated offerings that appeal to new segments and at the same time avoid price erosion in among existing customers. Customer experience will matter more than ever. A reputation for poor service is expensive to overcome. It’s a fact today and it is getting increasingly important tomorrow, as the number of customers that operators are fighting about is not increasing. The increase is in data usage, number of devices and subscriptions. So in order to grow business existing customers need to be maintained especially as the cost for acquiring new customers is very high. Upsell of new services and subscriptions is difficult to customers that are not happy, and on the other hand customers that are happy are likely to buy more, talk well about you, and by that also help creating growth. So make sure that you can deliver on your promise. For example, if they want to offer business customers a premium experience at a premium price, you first must have the tools in place to assess ensure that experience every step in both the purchase process, activation as well as during actual service usage. CSPs will analyze customer behavior so they can capitalize on it. Simply providing a voice-and-data pipe out to a customer and collecting a fee is no longer a viable business model. Savvy CSPs realize this. They are deploying OSS/BSS solutions that enable them to analyze how all their customer (prepaid, postpaid and hybrid) are using their services and then create tailored promotions and tariffs that leverage each customer’s or customer group’s habits and preferences. CSPs will turn customer disgust about being blindsided into a business opportunity and market differentiator. The global backlash against bill shock is just one example. CSPs suffer financially, too, when surprised customers become former customers or share their anguish with their social networks. CSPs also have the cost of fielding all those billing inquiries. Those are among the reasons why mobile operators, MSOs and other CSPs will increasingly provide customers with real-time control of minutes, messages and megabytes used. This information is particularly important for customers with shared, multi-device plans, such as a family or small business. Providing this type of granular information in a timely manner requires an OSS/BSS solution capable of tracking, controlling and aggregating it. This investment also enables CSPs to create specialized offers, such as providing customers who are approaching their monthly allotment with the option of buying another block of minutes or messages at a special rate. This proactive outreach benefits the CSP’s reputation because now customers perceive it as being sensitive to their budget rather than trying to nickel and dime them. Niclas Melin, Director of OSS and BSS Marketing, joined Ericsson in 1995. He specializes in understanding how real-time capabilities in OSS/BSS can improve the customer experience and create value, and has developed a deep understanding of operators’ challenges and opportunities through operator workshops, discussions with industry analysts and his former role as chairman of the Ericsson Charging User Group. Globally, mobile service revenue is the main growth engine in the overall telecom/datacom market, up 4.3% year-over-year in the first half of 2012,according to Infonetics' newly released December 2012 Fundamental Telecom and Datacom Market Drivers report, which analyzes global and regional market trends and conditions. Data traffic growth is outstripping transport equipment costs: traffic is climbing 29% annually while equipment costs are falling 10%. Software-defined networks (SDNs) are here to stay, but not today: SDNs are on service providers’ minds, but it is a longer-term challenge to find implementations of hybrid SDN and non-SDN in live networks. “As we’re ending 2012, Europe’s crisis remains uncontained and is now spreading to Germany. The potential of shaking business confidence everywhere in the world has risen to new heights, and the IMF lowered its growth forecast and is warning of recession risks due to downward revision of global GDP, which now stands at 3.3%. Economic readings are worrisome everywhere but the U.S., but so far the impact on global telecom and enterprise remains tame, and we’re forecasting capex to grow nearly 4% in 2012 over 2011,” notes Stéphane Téral, principal analyst for mobile infrastructure and carrier economics at Infonetics Research. Téral adds: "With the announcement of AT&T’s and Deutsche Telekom’s multi-billion dollar investment plans, next year’s capex outlay looks brighter." Bidders will be competing for spectrum in two separate bands – 800 MHz and 2.6 GHz. Ofcom said this new spectrum will boost the amount of airwaves available to mobile phones by more than 75%. 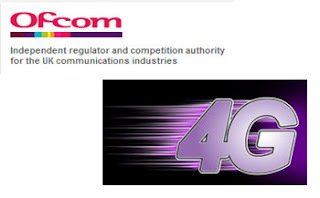 "The 4G auction will be a competitive process that will dictate the shape of the UK mobile phone market for the next decade and beyond," stated Ed Richards, Ofcom Chief Executive. O2 (Telefónica UK) has selected Nokia Siemens Networks for its upcoming LTE rollout across London and the South East of England. The UK operator is anticipating a rapid launch of 4G following Ofcom’s spectrum auctions scheduled for early 2013. 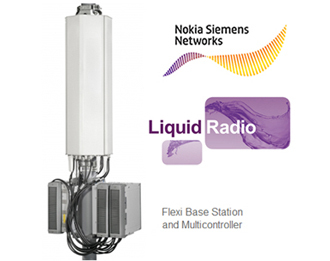 Under the contract, Nokia Siemens Networks is providing its Single RAN platform, and implementing its high-capacity Liquid Radio solution based on its Flexi Multiradio 10 Base Station. The contract includes Nokia Siemens Networks’ NetAct network management system. It also includes network implementation and care services across 50 percent of O2’s radio access network including the South-East of the UK and London. Pluribus Networks, a start-up based in Palo Alto, California, raised $23 million in series C funding for its hardware-accelerated network virtualization platform for private and public cloud data centers. Pluribus provides a platform for fabric-based computing that enables applications to move into the network, and to serve both physical and virtual network infrastructure. The solution includes highly-optimized Server-Switch hardware along with a a programmable, distributed network operating system (Netvisor). The goal is zero-touch provisioning of virtual machines and network services. Pluribus also provides an ability to store full data flows and sessions in each of its F64 Server-Switches. The company has said that across a fabric of F64 Server-Switches, tens of Gigabytes per second of real-time analytics can be captured and processed. The new funding round was led by Menlo Ventures with the participation of existing investors New Enterprise Associates, Mohr Davidow Ventures, and others. 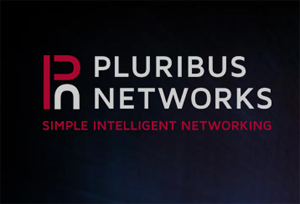 Pluribus Networks was founded in 2010. The founders of Pluribus include Sunay Tripathi, previously a Senior Distinguished Engineer for Sun Microsystems and was the Chief Architect for Kernel/Network Virtualization in Core Solaris OS; Robert Drost, previously a Sr. Distinguished Engineer and Director of Advanced Hardware at Sun Microsystems; and C.K. Ken Yang, a Tenured Professor of EE at UCLA with a focus on high-performance communication. In September, Pluribus announced a partnership with TIBCO Software Inc. to deliver TIBCO Enterprise Message Service Appliance and TIBCO FTL Message Switch. René Obermann will step down as CEO of Deutsche Telekom at the end of 2013 and has asked the company's Board of Directors not to renew his contract after that point. He will leave Deutsche Telekom after 16 years, of which he spent seven at the head of the company and 11 years as a member of the Board of Management. 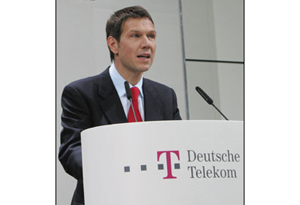 Deutsche Telekom's current chief financial officer, Timotheus Höttges, has been named to succeed him as Obermann as of January 1, 2014. “In the last few years we have found solutions for our key issues. Deutsche Telekom has the best network, the best customer service in the industry and is expanding its customer base with innovative products. As an employer, we have given the topic of cultural diversity new momentum, which has been recognized and even emulated beyond the company. Furthermore, we have driven a shift in the values at the company: Today, DT is defined by a culture of fairness and open cooperation. And the company also has a solid financial foundation. In short: this is the right time to prepare to pass the baton and ensure a smooth transition," stated René Obermann. Ericsson has decided not to take over full ownership of ST-Ericsson and will take a non-cash charge of approximately SEK 8 b. in Q4, 2012 related to its 50% stake in the company. Earlier this month, STMicroelectronics unveiled a new corporate strategy under which it will exit the ST-Ericsson partnership and the wireless broadband market, choosing instead to focus on sensors and embedded processing. Ericsson continues to explore various strategic options for the future of ST-Ericsson assets. The company said it continues to believe that the modem technology, which it originally contributed to the JV, has a strategic value for the wireless industry. Shenick Network Systems named Gerard Moore as its new Chairman and CEO. Previously, Moore was founder and CEO of Spectel, which he grew from 10 to 240 employees, before it was acquired by Avaya in 2004. Moore is also Managing Partner of Sanvest Ventures. In 2008, Moore became an investor in Shenick and joined its board of directors. The company has also expanded its executive team to include Ultan Kelly, CTO; Frank Bawle, VP of Engineering and Ameet Dhillon, VP of Marketing and Business Development. Shenick also announced the opening of an office in Silicon Valley (Milpitas, California). Shenick's TeraVM is a fully virtualized network test and measurement solution that emulates application traffic flows up to a Terabit/s using industry standard hardware. "The demand for virtualized test systems is growing alongside the rapidly developing Cloud market. Shenick's new Tera, a fully virtualized test solution, is perfectly poised to take advantage of this market," stated Gerard Moore, CEO, Shenick Network Systems. 2013 should be an eventful year in the network and communications industry. Given the intense focus on 4G and LTE, it helps to have a sense of what’s next in wired and wireless networks. Data and video surges cause a shift from a single class of service to multiple classes of service in the backhaul network: In 2013, we’ll see a shift from a single class of service to multiple classes of service to address the demands of the end-users and maximize profitability for backhaul operators by avoiding costly over-builds. Currently all traffic on a network goes through a single pipe whether it be video or audio. With multiple classes of service, mobile operators will better be able to handle the unprecedented growth of data and achieve significant savings by only delivering services users pay for. Multiple classes of service also enable service providers to allocate network resources for services that matter, rather than providing a “dumb pipe” for all traffic and at all times. Customers, as well as content providers, are willing to pay for those differentiated services. Carriers finally trial small cell deployments: There is a lot of buzz around small cells and how they will be instrumental in LTE network rollouts. 2013 will be the main trial year for carriers in outdoor small cell deployment, with carriers increasing RFQs for small cell equipment and their backhaul networks. As outdoor small cells will primarily be deployed on lamp posts and traffic signs in addition to the outside of buildings, they will require connectivity besides fiber. 80% of small cell backhaul will be over microwave or millimeter-wave links. Additionally, more than half of the growth in small cells will come from the APAC region. Carrier LTE deployments will double to create 200+ commercial LTE networks: As more and more consumers buy devices with LTE capabilities, the demand for LTE services is increasing and carriers will need to invest in their radio access networks. Today’s LTE networks are focused on providing basic coverage for LTE devices, but can’t support a large number of LTE devices on the network. In 2013, there will be a growing emphasis on moving towards increasing both coverage and capacity of LTE networks with the corresponding infrastructure investments. TD-LTE will also see more acceptance and trials, as it reduces carrier costs and requires fewer spectrum licenses. Carriers figure out a way to provide value added services to businesses over cloud: Most business services in the past were primarily about delivering a pipe for transferring data between enterprise locations. But with enterprise (IT) services increasingly moving to the cloud, the demand for Ethernet business service is surging. 2013 will be the year when carriers figure out how to make money off of their networks by securely connecting customers to public and private clouds, and helping enterprise customers manage networks and infrastructure, increased use of mobile devices and a more mobile workforce in general. This will allow carriers to provide additional revenue generating services to their business customers, manage service level agreements, and be able to charge for different levels of service, and services that can change based on time-of-day. Carriers and OEMs implement IEEE1588v2-based timing on a large scale: Radio networks require very precise timing in order to work. Until now, carriers have been focused on how to move their backhaul traffic to packet-based networks. In 2013, these packet networks will enter the next stage, where carriers are moving to their timing packet-based as well and the IEEE 1588v2 Precision Time Protocol will be the de-facto standard. Overall we’ll see a shift from awareness to actual implementation and deployment. 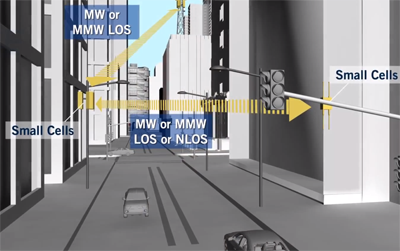 There will be a concerted effort in the industry to define a standard mechanism for accurate time-of-day and phase delivery for LTE and LTE-Advanced networks based on IEEE 1588v2 technology. Mobile devices are here to stay and only getting more prevalent. According to the Worldwide Mobile Industry Handbook, there will be 8.5 billion mobile subscribers worldwide by 2016, and Cisco's Visual Networking Index predicts mobile data traffic to increase 26-fold over a five-year span. Wireless networks, especially for mobile access, as well as Enterprise networks, must naturally evolve to keep up. Give that, these predictions are what Vitesse sees as top network infrastructure trends for 2013. How accurate are they? Who knows. We won’t know until this time next year when we gaze into the crystal ball again. In the meantime, what do you think? Martin Nuss joined Vitesse in November 2007 and is the vice president of technology and strategy and the chief technology officer at Vitesse Semiconductor. With more than 20 years of technical and management experience, Mr. Nuss is a Fellow of the Optical Society of America and a member of IEEE. Mr. Nuss holds a doctorate in applied physics from the Technical University in Munich, Germany. He can be reached at nuss@vitesse.com. Uday Mudoi is the director of product marketing at Vitesse Semiconductor. He holds a Bachelor of Science degree in electrical engineering from the Indian Institute of Technology, Kharagpur, a master’s degree in computer science from North Carolina State University, Raleigh, and an MBA from Columbia University, New York, N.Y. He can be reached at uday@vitesse.com. Vitesse (Nasdaq: VTSS) designs a diverse portfolio of high-performance semiconductor solutions for Carrier and Enterprise networks worldwide. Vitesse products enable the fastest-growing network infrastructure markets including Mobile Access/IP Edge, Cloud Computing and SMB/SME Enterprise Networking. Visit www.vitesse.com or follow us on Twitter @VitesseSemi. 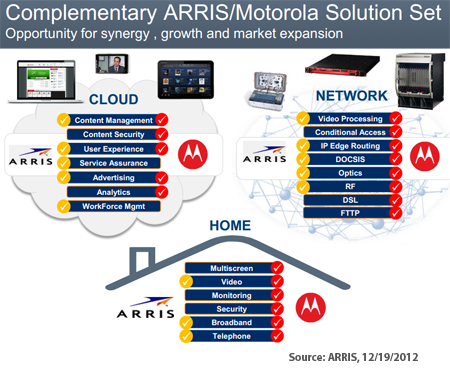 Google will sell its Motorola Home Business to ARRIS for $2.35 billion in cash and stock. software solutions for the cable, telecom, broadcast & satellite markets. The Motorola Home division, which is based in Horsham, PA, had revenues of approximately $3.4 billion over the past 4 quarters and about 5,000 employees. The company is profitable. ARRIS reported revenue of approximately $1.3 billion over the past 4 quarters. It has approximately 2,100 employees and is based in Suwanee, Georgia. 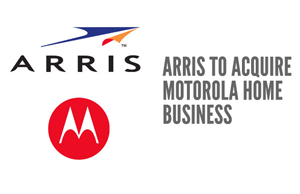 For ARRIS, the acquisition effectively triples its overall revenue, brings an enhanced product portfolio, a larger customer base, and strengthened relationships with cable operators and broadband service providers worldwide. The deal also includes the transfer of certain Motorola patents related to the business. For Google, the deal helps it dispose of some of the assets of Motorola Mobility, which it acquired last year for about $12.5 billion. That acquisition also included approximately 24,500 patents and patent applications from Motorola, along with the Motorola mobile handset business. The acquisition will be on a cash-free, debt-free basis. Google will receive $2.05 billion in cash and approximately $300 million in newly issued ARRIS shares. and San Diego Gas & Electric. the population of the contiguous 48 states. The FCC noted that AT&T already has made a multi-billion dollar commitment to the deployment of LTE in the AWS spectrum band, so the transfer of licenses should result in more services available to the public. In August, AT&T announced plans to acquire NextWave Wireless, which holds licenses in the Wireless Communication Services (WCS) and Advanced Wireless Service (AWS) bands, for approximately $25 million plus the assumption of about $600 million in debt. According to its 2011 annual report, Nextwave Wireless' total domestic spectrum holdings covers approximately 218.6 million total POPs, with 104.8 million POPs covered by 20 MHz or more of spectrum, and an additional 94.9 million POPs covered by at least 10 MHz of spectrum. In addition, a number of markets, including much of the New York City metropolitan region, are covered by 30 MHz or more of spectrum. Its domestic spectrum resides in the 2.3 GHz Wireless Communication Services (WCS), 2.5 GHz Broadband Radio Service (BRS)/Educational Broadband Service (EBS), and 1.7/2.1 GHz Advanced Wireless Service (AWS). Its international spectrum includes 2.3 GHz licenses in Canada with 15 million POPs covered by 30 MHz of spectrum. Deutsche Telekom has submitted an application to Germany's Federal Network Agency to permit the use of vectoring for boosting the performance of its copper access network. Deutsche Telekom plans to invest about EUR 6 billion over the next four years primarily to enhance its fixed network with vectoring. This upgrade would entail extending fiber optics up to the cable distribution boxes and then installing vectoring technology in the cabinets. This will enable 24 million households to benefit from the new technology. Deutsche Telekom said the use of vectoring could boost VDSL downstream access rates to 100 Mbps, compared with top speeds in the 50 Mbps range today. Vectoring also supports upstream rates of around 40 Mbps. In this regulatory filing, Deutsche Telekom is proposing to permit competitors to access lines that it has upgraded with vectoring. The carrier would offer a bitstream connection for vectoring available as a wholesale product. Deutsche Telekom is also proposing that is competitors be allowed to deploy vectoring at the cable distribution boxes that they have already connected using fiber optics. Development of new areas by competitors is generally also conceivable. A prerequisite is that they - just like Telekom - allow other companies to use the new connections (open access). In addition, the "KVz-TAL" (subscriber line that runs to the cable distribution box) will generally be retained - this was a key demand of the trade associations of competitors. "Only with vectoring can millions of households be provided with fast and efficient high-performance connections in the fixed network. We must take this opportunity for better networking of society in Germany, and that's why we have now seized the initiative with our application," emphasizes Niek Jan van Damme, Member of the Board of Management for Germany at Deutsche Telekom. In Belgium and Austria the regulatory authorities have already approved the use of vectoring with the support of the EU Commission. 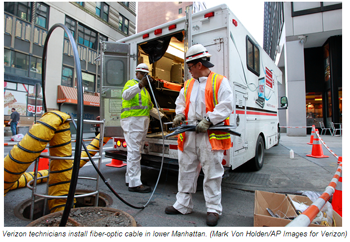 Verizon has completed the installation of fiber-optic cables between the company’s two critical central switching offices in lower Manhattan. The rapid deployment replaces many copper lines which were damaged by flooding caused by Hurricane Sandy. Copper cables were destroyed that served businesses and residences in the area south of Worth Street, from the East River to the Hudson River. The damaged resulted from inundation of salt water mixed with diesel fuel. Verizon now estimates that more than 70 percent of the affected buildings served by its Broad Street switching office, where copper services were most significantly damaged, have fiber-optic cables and facilities serving them, with many buildings downtown having full service. In addition, Verizon estimates that this operation has already installed more than 5,000 miles of fiber strands in lower Manhattan and removed more than 100 tons of copper cables -- 30 percent more than all the copper in the Statue of Liberty. The copper is being collected and recycled. “We are doing years’ worth of work in just a few weeks’ time, and doing it round the clock,” said Martin Burvill, senior vice president of global operations for Verizon Enterprise Solutions. “We are keenly focused on transforming the communications infrastructure of lower Manhattan with this new architecture in a way that fully benefits our residential and business customers. Sprint's LTE rollout has reached 49 markets across the U.S., including Dallas, Houston, Atlanta and Baltimore – and sites are on-air and implementation is under way in hundreds more. 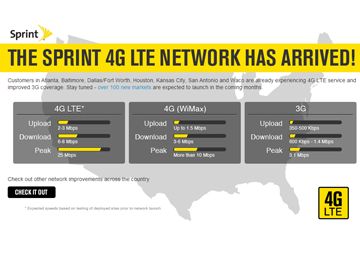 Sprint has announced nearly 150 markets that should see an official LTE launch in the coming months. The updated rollout plan adds 36 markets. Sprint launched its LTE network in July 2012. "With the network investments we made in 2012 and as the only national wireless carrier to offer truly unlimited 4G LTE data plans, we continue to offer better value than our competitors,” said Bob Azzi, senior vice president-Network, Sprint. “But our commitment to an exceptional wireless experience doesn’t stop there. 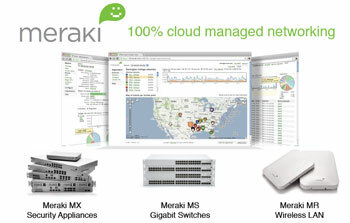 We are an aggressive path to complete the rollout of Network Vision, and we expect to accelerate this momentum in 2013." The MAYA-1 Submarine Cable System will upgrade from 10G to 40G using Alcatel-Lucent's 1620 Light Manager submarine line terminal equipment with single carrier coherent technology. 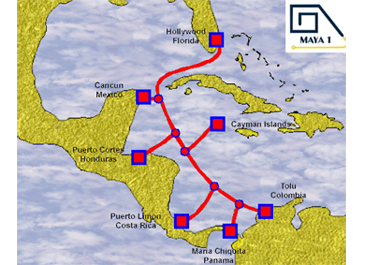 MAYA-1 is a submarine telecommunications cable system owned by a consortium of telecom companies. The system, which was originally constructed in the year 2000, connects seven landing points in the Caribbean, including Hollywood, Florida , Cancun (Mexico), Puerto Cortes (Honduras), Puerto Limon (Costa Rica) Half Moon Bay (Cayman Islands), Maria Chiquita (Panama) and Tolu (Colombia) in a collapsed ring configuration. Gigamon named Paul Hooper as its new Chief Executive Officer, replacing co-founder Ted Ho, who is stepping down. Hooper previously served as Gigamon's Vice President of Marketing and Product Management. Before that, he held various positions at Extreme Networks, including Chief Marketing Officer, Vice President and General Manager for the Volume Products Group, and Chief Information Officer. 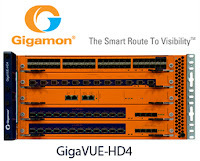 Gigamon provides an intelligent Traffic Visibility Fabric for enterprises, data centers and service providers. The Gigamon GigaVUE portfolio of high availability and high density products intelligently delivers the appropriate network traffic to security, monitoring or management systems. "Ted, along with the co-founders, have created a new market, and established Gigamon as one of the leaders of this new segment, by combining incredible engineering innovation and skills with a vision to create a more efficient and effective approach to manage the information traversing networks of today and tomorrow," said Paul Hooper, Gigamon CEO. "I am honored to assume the leadership of Gigamon and take our company to new levels of success." The U.S. Marine Corps has awarded a contract to AT&T Government Solutions to develop and deliver trusted mobile devices able to send and receive highly-secure voice, video, and data across multiple security domains and wireless networks – domestic and international. The Trusted Handheld Platform will support secure, classified, and unsecure communications. Initial devices will use a modified version of the Android. 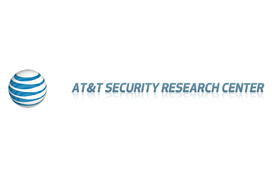 AT&T said it has assembled a team of leading security technology providers to deliver secure mobile devices under this award, including: Green Hills Software, SafeNet, and Sequitur Labs. Pulsant, which offers managed cloud and hosting services, has acquired ScoLocate's 75,000 sq ft data centre in Edinburgh, Scotland. The facility hosts over 30 telecommunication carriers, making it one of the most connected commercially available data centres outside the M25. Financial terms were not disclosed. The acquisition brings Pulsant's nationwide network of data centres up to 10, positioning it as a leading supplier of data centre services in the UK. The company says it now has more than 3,000 mid-tier and enterprise customer using its facilities. The Pulsant brand was launched earlier this year following the business integration of Lumison, DediPower and Bluesquare Data. Consumers these days are hungrier than ever for data, and smart devices are the forks that feed. To keep pace, service providers have begun adopting higher-bandwidth networks like 100G infrastructures to meet ever increasing demand. But the advent of this new technology also brings a heightened need to test and measure the resulting infrastructure so providers ensure they are delivering content to consumers as expected. Network equipment manufacturers today are indicating that capacity is doubling in their network products every six months. According to research firm IDC, worldwide broadband traffic is expected to reach 116,539 petabytes (one petabyte equals 1,000 terabytes) per month by 2015 thanks to smart devices’ access to high-definition video, social media and other real-time applications. The emerging “connected class” of consumers wants and expects instant access to information and communication in both their work and personal lives. Not far behind, service providers have begun to juice their bandwidth to accommodate. To bolster network infrastructures, carriers began volume implementations of 100G optical equipment in 2012. 100G took off much quicker than 40G as all network players bought into the overarching need for 100G and developed a healthy market with a variety of competing solutions. Many experts believe that 100G is the new 10G because it creates the new baseline for network performance and its architecture will provide the basis for future technologies. Implementation of 100G started as line cards, much like 10G did in its day, but the technology will quickly become smaller due to new developments in components such as modules – driving down costs and power requirements. To properly enable a 100G-based network ecosystem, the test and measurement building blocks must be set in place. We see novel technology at the physical layer to guarantee ultra-high bandwidth signals can cross a circuit board. Because 100G touches a rich mix of traffic types, the equipment used to test these networks must be capable of validating the performance with real 100G signals forged from this dynamic mix. Looking forward, as standards are solidified and providers move to 400G in several years, test equipment must continue providing deeper insight into the real issues and root causes with increasing bitrates. Even temperature management poses a challenge as the equipment must work with a wide range of temperatures while offering more insightful applications and test ports in ever-smaller boxes. Most agree that 400G will be implemented in two forms – four super carrier wavelengths at 100G using dual polarizations and QPSK modulation or with two carrier wavelengths at 200G using dual polarizations and 16QAM modulation. Each has its benefits and detractions. Four carrier wavelengths at 100G provide better performance over long distances, but consume more spectrum within the fiber. Two carriers at 200G will have a shorter reach, but a more efficient use of spectrum. Expect to see more solid standards developed around 400G sometime in the next 18 to 36 months, a timeline reminiscent of 100G development. Self-Aware Networks also made significant strides in 2012 and their first full deployments will come in 2013. These are networks that can automatically restore and rebalance bandwidth, optimize performance and lower overall costs for network providers. These intelligent networks will require test systems to interact with not just the data plane, but also the network’s control plane. It will also require test visibility across the network as a whole, not just an isolated snapshot. One solution on the market currently enables tremendous flexibility and real-time insight into all reaches of the network. They ensure that operators can deliver the service benefits of such networks. With this insight, network managers can see their network as their customers experience it in real time, leading to a successful network and happy customer. Carriers have now bought into the concept of Self-Aware networks and are committed to their implementation. Other optical equipment makers are now working to get involved and create their own solutions for this promising opportunity. Bandwidth increases unquestionably have implications for how companies test and measure network effectiveness. However, providers must also remember that it is not only bandwidth’s sheer quantity, it’s the nature of the bandwidth that becomes critical to the eye. More latency-sensitive real-time video, more complex traffic structures that need to interact with the self-aware network and far higher port densities all affect the test strategy. This is all set against a background of not only increased opex and capex pressure, but with continually increasing customer expectations. Test and measurement equipment must continue to offer novel applications that are ‘aware’ of the nature of the traffic and ‘aware’ of the nature of high-performance, dynamic networks. 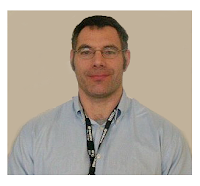 Dr. Paul Brooks is the Product Manager for the JDSU high-speed test portfolio. He covers a wide range of technology including 100 GE and OTU3/4 and has been very involved in developing test procedures for 100G systems and components. He was formerly a principal engineer, leading engineering teams developing a wide range of products for communications test and measurement. Prior to JDSU, Paul was a weapons officer in the Royal Navy specializing in electronic warfare. He currently lives in southern Germany where he laments the lack of first-class rugby. China Mobile launched a dual-mode TD-LTE + FDD-LTE capability in Hong Kong.The converged LTE FDD/TDD network allows subscribers with client devices supporting both formats to roam on-net between services. The CMHK LTE network is the first dual-mode network in the Asia-Pacific region. Live demonstrations showcasing the high-speed data download capabilities of TD-LTE and LTE FDD networks and the seamless hand-overbetween TD-LTE and FDD LTE networks for online video transmission were conducted at the launch event. China Mobile Hong Kong's FDD LTE mobile data service launched in April. The TD-LTE network in Hong Kong was activated in September. Both Ericsson and ZTE have supplied equipment for China Mobile's Hong Kong network. "The commercial operation of China Mobile Hong Kong’s TD-LTE/FDD LTE converged network in Hong Kong marks a new milestone in the development of LTE technology, and helps to build strong momentum in the industry,” said Mr. Zhang, Vice President of ZTE. 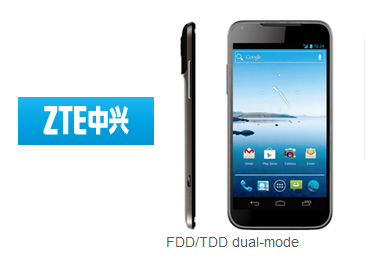 As part of the launch, ZTE introduced its TDD/FDD dual-mode ZTE Grand Era LTE smartphone, featuring Android 4.0 Ice Cream Sandwich, a 1.5GHz dual core CPU, 1GB of memory and a multi-touch 4.5-inch 1280×720 Gorilla Glass display. "With the growing popularity of the LTE environment in Hong Kong, LTE smart terminal products will become more prevalent in the future, which will also be the model for LTE development in mainland China, further accelerating the maturity of the global TD-LTE industry, " said Mr. He Shiyou, ZTE EVP and Head of the Terminal Division. 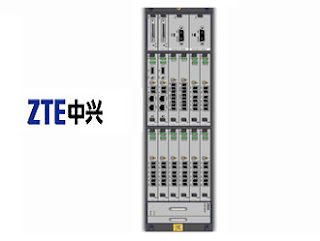 In its 1H2012 financial report, China Mobile confirmed that it has successfully completed TD-LTE trial in "6+1" cities and commenced an expanded build-out of the technology. China Mobile has also carried out two-way roaming trials between Hangzhou's TD-LTE network and Hong Kong's LTE FDD networks. By the end of this year, China Mobile aims to deploy 20,000 TD-LTE base stations in 13 cities. The goal is to have 90% effective coverage in key areas of Hangzhou, Guangzhou, and Shenzhen. In 2013, the number of TD-LTE base stations will reach 200,000 to achieve contiguous outdoor coverage in data hotspots of prefectural level and above cities. In October, ZTE announced a major contract to supply TD-LTE equipment to China Mobile in five cities, namely Beijing, Tianjin, Guangzhou, Shenzhen and Shenyang. The contract cover more than 13,000 carrier frequencies. Financial terms were not disclosed. ZTE confirmed that it is now China Mobile's leading LTE supplier for China Mobile. 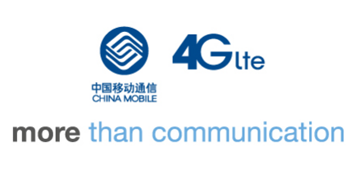 China Mobile launched the TD-LTE bidding in August 2012. The tender included contracts for some 20,000 base stations and 52,000 carrier sectors. In October, Alcatel-Lucent Shanghai Bell also announced a contract to support China Mobile's TD-LTE trial network rollout as it extends services to 10 cities. Under the terms of the contract, Alcatel-Lucent Shanghai Bell will deliver approximately 3,000 base stations in the cities of Shanghai, Nanjing and Qingdao. SK Telecom is reporting an accelerated growth in LTE subscribers. SK Telecom is currently experiencing a daily average of 60,000 customers new LTE enrollments, representing over 50 percent growth compared to the last month. LTE subscribers surpassed 7 million as of December 12, 2012, thereby achieving the end of year target for LTE subscribers. The company's LTE footprint covers 99 percent of South Korea's population. For comparison, it took SK Telecom two years and four months to acquire 7 million 3G WCDMA subscribers since commercializing the service in May 2006. At present, the company's LTE subscribers make up 26 percent of its total mobile subscriber base, expanding 11 fold compared to the end of November 2011 when it reported 630,000 LTE subscribers, accounting for a mere 2.4 percent of the total. The pace is expected to accelerate even further with the launch of Apple's iPhone 5 on December 7, 2012. The LTE subscriber base is expected to hit 14 million by the end of 2013. making LTE the company's mainstream mobile service. "As LTE is expected to become the mainstream service in 2013, we will focus on developing and offering differentiated LTE services to deliver greater value and convenience for our customers," stated Jang Dong-hyun, Executive Vice President and Head of Marketing Division of SK Telecom. In August, SK Telecom launched an HD VoLTE service, initially featuring the Samsung Galaxy S3 LTE handset. Customers who already have the handset will be able to download a firmware upgrade later this month. The Galaxy Note 2 will also offer an HD VoLTE capability. The premium HD voice service is available at no additional charge. The HD voice connection uses 2.2 times the bandwidth of voice over 3G. The HD voice call connection time ranges from less than 0.25 to 2.5 seconds. 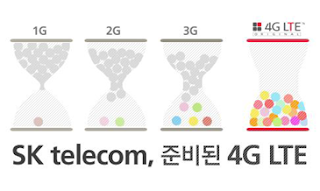 This compares with a mean call connection time of 5 seconds for 3G voice calls, and SK Telecom believes this difference will be apparent to the customer. HD VoLTE carries a wide voice frequency range of 50 to 7000 hertz compared to a 3G voice call that typically covers 300 to 2400 hertz. The service uses Enhanced Variable Rate Codec (EVRC). SK Telecom is using multi-carrier technology for the 800 MHz (20MHz) and 1.8 GHz (20MHz) frequency bands. 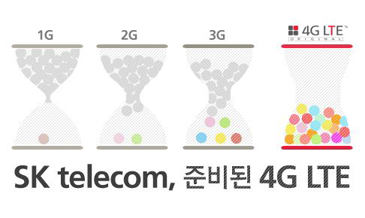 In July, SK Telecom announced plans to commercialize LTE-Advanced in its network during 2013. SK Telecom, in collaboration with Qualcomm and Nokia Siemens Networks, recently tested a core LTE-Advanced technology called 'Enhanced Inter-Cell Interference Coordination (eICIC) that coordinates signal interference between macro and pico base stations. eICIC is gaining importance as more and more micro base stations are being built in traffic concentrated areas to accommodate explosive data traffic growth, thereby aggravating inter-cell interference. SK Telecom noted that it now holds the record of demonstrating the three core technologies needed to usher in the era of LTE-Advanced: eICIC, Coordinated Multi-Point (CoMP) and Carrier Aggregation (CA). 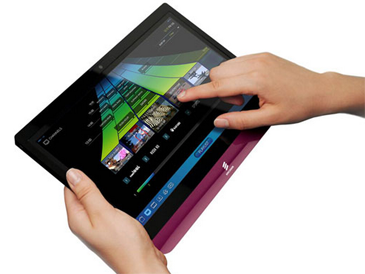 The company successfully demonstrated CoMP at Mobile World Congress (MWC) 2011 and CA at MWC 2012. CoMP is a technology that prevents base station interference and abrupt call disconnections in coverage boundary areas by enhancing signal strength, the lack of which leads to a significant drop in data transmission speed, and CA is a technology that provides twice or faster data rates by utilizing multiple frequency bands at the same time. SK Telecom expects to commercialize eICIC in the second half of 2013 to control signal interference and effectively offload data in downtown areas that experience heavy data traffic so as to provide customers with a mobile data service with greater speed and stability. The company commercialized CoMP, for the first time in the world, in January 2012, after adjusting the technology to suit the current LTE system, and plans to achieve early commercialization of CA in the second half of 2013. The operator will deliver LTE using both existing 800MHz frequency band (20MHz) and the 1.8GHz band (20MHz) it newly acquired last year. With an additional 20MHz uplink/downlink spectrum, it is now using a total of 40MHz for its LTE services. SK Telecom has launched a pilot service for multi-carrier in May 2012 and began full-fledged commercialization on July 1 to ensure a more stable and faster LTE service based on twice wider frequency bandwidth than its competitors. CA realizes data rates of up to 150Mbps by combining the speeds of 800MHz (75Mbps) and 1.8GHz (75Mbps) frequency bands. 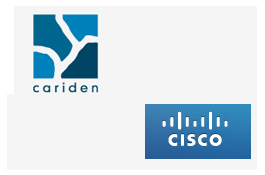 Cisco announced plans to acquire BroadHop, a start-up providing policy control and service management technology for carrier networks. Financial terms were not disclosed. BroadHop, which is based in Denver, Colorado, specializes in application-centric policy technology. Its Quantum Network Suite is an open policy-application platform based on PCRF architecture that can be used for network-centric bandwidth management, such as fair use and bandwidth throttling, and application-centric interactive services, such as policy-to-the-handset and real-time mobile congestion management. This enables Service Providers to control, monetize and personalize network and application services. The company says its solution has been deployed by more than 90 telecom service providers serving more than 500 million subscribers in 40 countries. 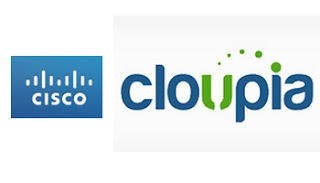 BroadHop has been a key service provider Wi-Fi partner for Cisco. Cisco said BroadHop's policy control solutions for mobile and fixed networks will be integrated into Cisco’s Service Provider Mobility Group to provide service providers the flexibility to control, monetize and personalize the types of service they choose, on any network. In April, BroadHop confirmed that a Tier 1 US operator is leveraging Quantum Network Suite for Wi-Fi offload. Quantum Network Suite is enabling this operator with portal-based authentication and redirection of Wi-Fi enabled smart phones and devices. BroadHop was founded in 2003. 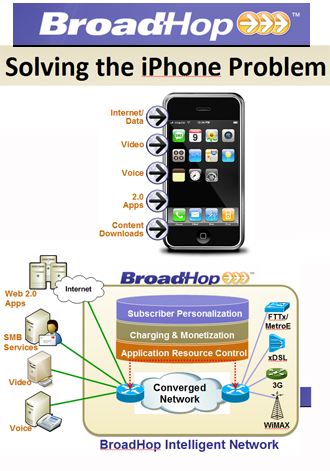 In 2010, BroadHop introduced its open policy management and control platform designed for intelligent broadband services and mobile data and application delivery. 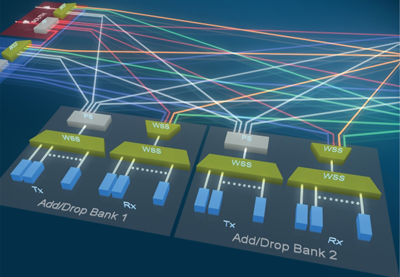 The company's Quantum Network Suite leverages a virtualized rules engine that enables network-aware mobile data services on an individual basis. Using 3GPP PCRF standards, the policy engine detects and adjusts for mobile core congestion in real time, maximizing session capacity and user quality of experience. Key capabilities include a subscriber balance manager, charging and policy enforcement. 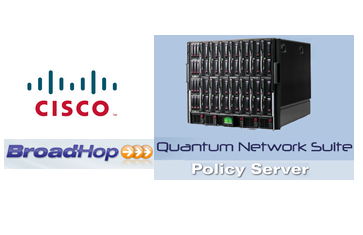 BroadHop said its Quantum Network suite enables service providers and solution integrators to use industry standard tools and technologies to create new policy blueprints -- and enable dynamic linking of their proprietary applications to the Quantum Network policy platform. Using the platform, service providers could share real time network status information with individual subscribers, such as smartphone users, informing them of periods when light network loads with lower downloading costs. By seeing their service and network status at a glance, subscribers will be better able to manage their data usage. 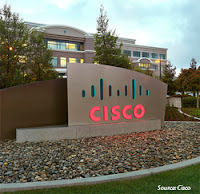 At the Cisco Financial Analyst Conference Day in New York earlier this month, company CEO John Chambers said the company's ambition is to transform itself from being the top communications provider to the top information technology provider. Cisco's key strategy remains to Build-Buy-Partner and Chambers said mergers & acquisitions remain a key part of the plan. Most recent deals have focused on software.